Weight- 2.5 gms for a pair. 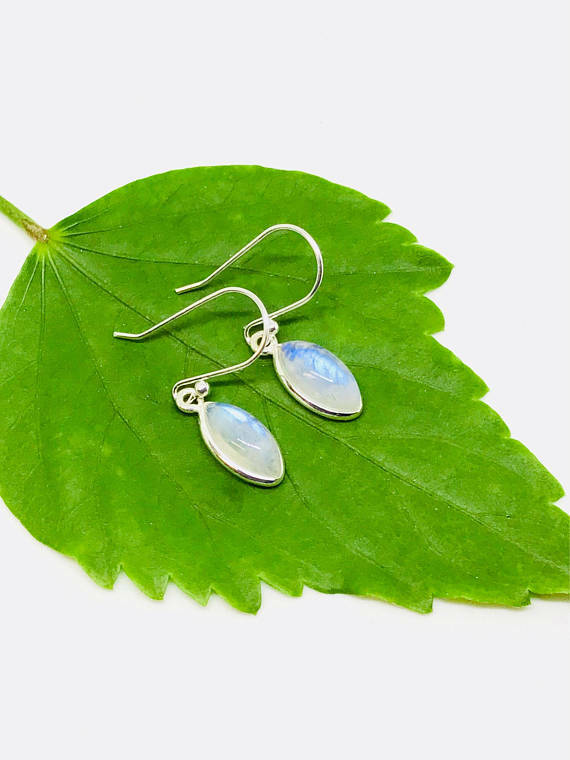 Moonstone carries lunar energy and helps to balance emotional upsets. Moonstone has a gentle energy that helps to ease stresses and feelings of anxiousness.A stone for “new beginnings”, Moonstone is a stone of inner growth and strength. It soothes emotional instability and stress, and stabilizes the emotions, providing calmness. Moonstone enhances intuition, promotes inspiration, success and good fortune in love and business matters.